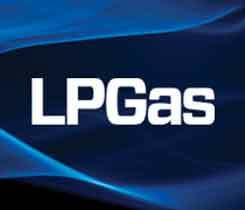 Class 4 and 5 forklifts, where propane holds a significant market share, saw 2.7 percent growth from 2017, adding to the fourth straight year of overall record sales. The 2017 sales numbers exceeded most industry expectations, according to Brian Feehan, president of the Industrial Truck Association. 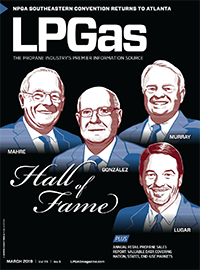 Even as forklift sales rise to record levels, propane faces market-share losses to electric. 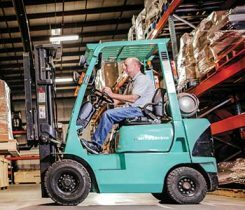 The forklift and material handling industry sold more than 230,000 forklift units in 2016, according to an Industrial Truck Association report. 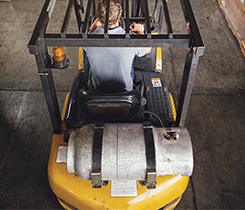 The Propane Education & Research Council hosted a propane forklift market development workshop to discuss the strengths and weaknesses in this market segment. Clark Material Handling Co. plans to launch the GTS25 forklift, which features Power Solutions International’s (PSI) 2.4-liter propane engine, in June. 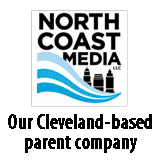 The Propane Education & Research Council (PERC) awarded grant funding to Tecogen to develop the propane fork truck market.